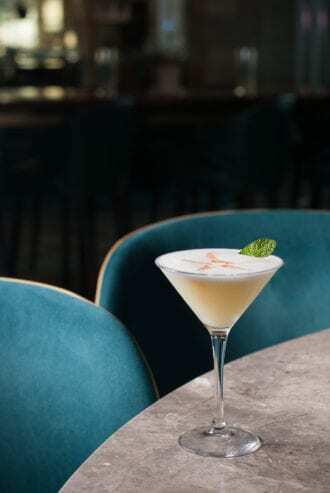 This gin sour was named after Joseph Christmas Ives, a botanist who first explored the Grand Canyon. Combine all the ingredients in a shaker and dry shake (no ice). Add ice and shake vigorously. Strain into a chilled glass. Drop the bitters onto the surface and use a toothpick to create a star shape. Garnish with mint. 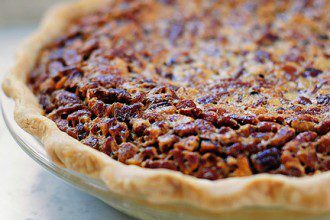 Pecan pie gets an upgrade with a splash of bourbon.